An often overlooked side to a fulfilling breakfast are hash browns, and that’s a shame because a side of hash browns makes for a great way to add some vegetables to your breakfast, making that first meal of the day already a Paleo-approved meal. With only three ingredients present, the recipe that follows is incredibly simple to make and actually uses sweet potatoes over regular potatoes. 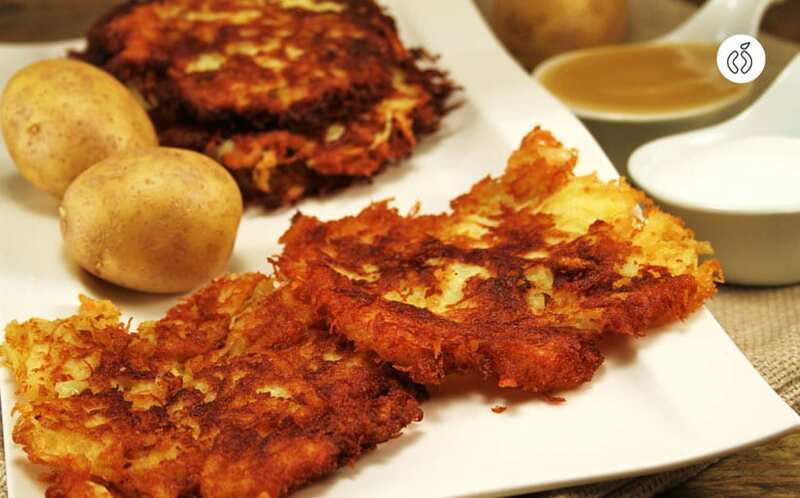 These hash browns take about a half hour to make, factoring in both preparation time and cook time, so you may want to start with these first, then make your eggs and bacon after so that everything can be served all at once and while it’s all still hot. After making this recipe, you may just opt for sweet potato hash browns over regular old potatoes every time going forward. They’re just as pretty to look at as they are delicious to eat! You may want to serve these with breakfast, but be warned: there may not be enough left to go back for seconds! 1. Boil a medium pot of water. 2. Boil the potato cubes for five minutes until slightly softened. 3. Drain and dry well. 4. Scoop coconut oil into large skillet and heat on medium heat. 5. Toss in the potatoes and allow to cook thoroughly (about six or seven minutes), then flip. Continue until browned. 6. Sprinkle the potatoes with sea salt as they cook. The hash browns will be at their crispiest if allowed to cook well on each side before stirring. Enjoy!